For decades, pickup tailgates have been relatively unchanged. 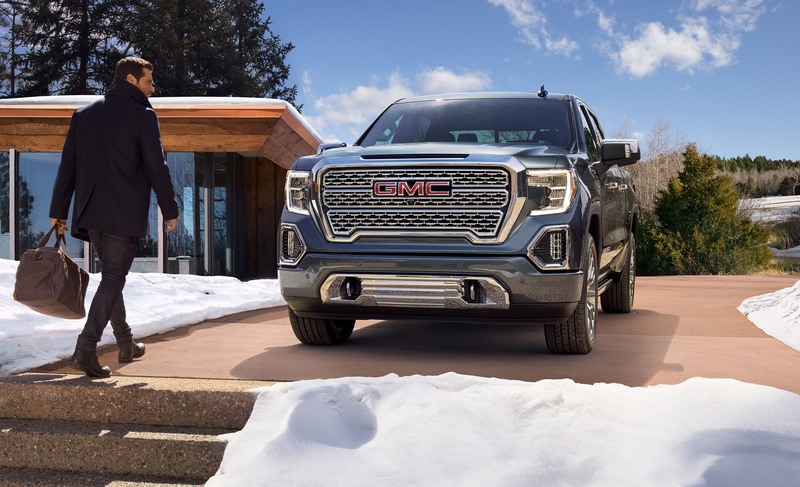 However, the 2019 GMC Sierra is revolutionizing the back end of the pickup with its GMC Multipro Tailgate. It has six versatile features that make it easier to use. Learn more about the incredible new features of the 2019 GMC Sierra here at Wilson GM in Stillwater, OK. The primary gate works just like any other truck tailgate. It has an available power release that can be operated using the key fob. With the primary tailgate open on any other truck, it can be difficult to reach inside the bed. The 2019 Sierra has an inner gate that folds down to make it easier to load and unload the box. Fold the inner gate down even more and it opens up into a large step that you can use to climb up into the box (375-pound weight limit). If you have any second-tier items in the bed, use the inner gate load stop to prevent them from sliding out. When the primary gate is open, you can flip up the load stop. This helps prevent items from sliding out the box when you need to keep the tailgate open. The inner gate can fold down to reveal a flat work surface. Welcome to Wilson Chevrolet Buick GMC Cadillac, and thank you for visiting. Our location in Stillwater, Oklahoma City makes us a convenient dealer for Perry and Cushing, Guthrie, Enid, Ponca City and Blackwell, OK Chevrolet and Cadillac shoppers.